Alessandro Michele's fascination with the old world continues. Gucci&apos;s Creative Director Alessandro Michele is continuing his dialogue with the old world in the brand&apos;s Pre-Fall 2019 campaign, shot at the ruined temples of the Selinunte Archaeological Park in Sicily. The campaign, photographed by Glen Luchford, pays homage to the ancient Greek tradition of gathering for the purpose of enjoying a banquet, while listening to music, dancing, chatting and have a plain old good time with friends. But instead of antiquated Greek getups, the campaign&apos;s models (many of which have tattoos aplenty and &apos;80s grunge hairstyles) are clad in Michele&apos;s eclectic hodgepodge of bright-patterned tailored suits, caftans and tunics. Gucci announced the campaign&apos;s release on Instagram, saying "In [Selinunte Archaeological Park] dating back to the 7th century BC is [Michele&apos;s] contemporary take on the classical symposium — an after-banquet gathering with music and dancing, poetry recitals and long conversations." 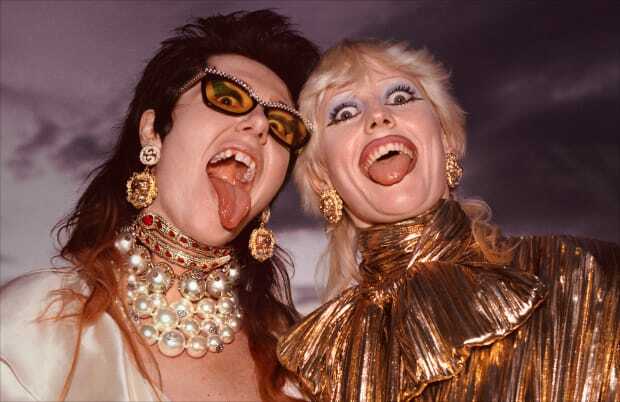 According to a press release, the campaign was envisioned to guide Michele&apos;s vision of "cultural juxtaposition," where the sorts of counter-cultural groups you&apos;d generally find hanging out in Venice Beach, California — think punks, rollerbladers, bodybuilders and surfers — can co-exist harmoniously with these old-school characters and surroundings. "[Michele] creates a contemporary fresco of freedom and expression in which the antique becomes the propeller of the present. 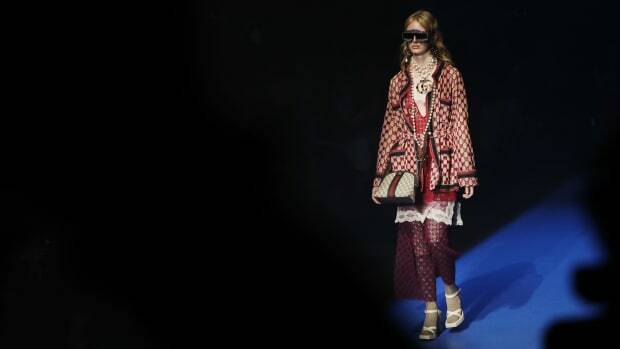 In Gucci’s modern-day version of a symposium, friends and lovers meet to discuss philosophical and political issues, read poems, play music and sport, and dance together," the press release said. Late last year, the brand recruited famed director and screenwriter Harmony Korine to shoot the Pre-Fall 2019 lookbook at the site of the archaeological parks of Herculaneum and Pompeii. 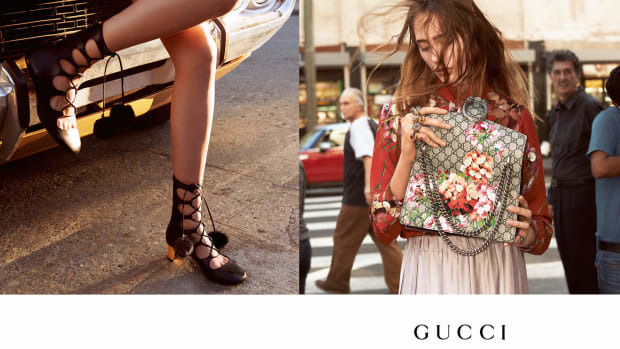 According to the brand, the location choice was part of a Gucci&apos;s ongoing effort to preserve Italian history. 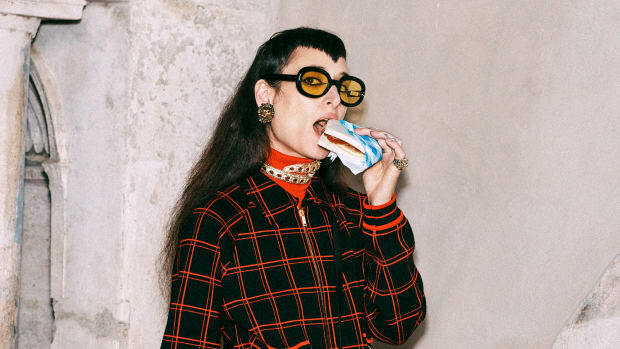 Gucci announced last month that it will present its Cruise 2020 show in Rome, where the label&apos;s creative team is headquartered. It also said it will provide financial support for the restoration of the rock face on the southern side of the Campidoglio, called the Rupe Tarpea, where "traitors were sentenced to death from the cliff to the underlying Roman Forum." To take a journey into Michele&apos;s vision of a modernized yore, where punk rockers (specifically, members of the band Surfbortion), basketball players, dog lovers and surfers alike break bread, see the brand&apos;s full campaign in the gallery below. The legendary director and screenwriter makes another foray into fashion. Alessandro Michele, who creative directed and styled the campaign, featured only people of color. Come May 30, Alessandro Michele and co. are hitting Provence. Creative Director Alessandro Michele's new vision for the house is on full display here.